By Philip Alpers. In: Aaron Karp, Ed. 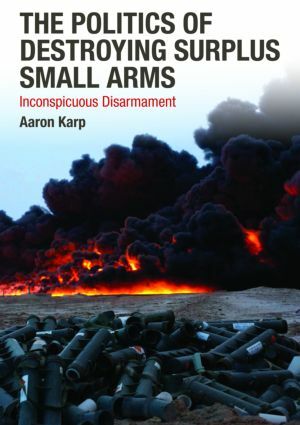 The Politics of Destroying Surplus Small Arms: Inconspicuous Disarmament (Routledge). Faced with continuing thefts of small arms and ammunition from state armouries, followed by surging gun violence and social disruption, Papua New Guinea (PNG) destroyed more than a third of its remaining military firearms. Although on a world scale the numbers were small, this disposal of surplus military small arms by the largest developing nation in the Pacific is shown to have been markedly successful in both implementation and effect. The five-year disposal process was encouraged by catalytic events, simultaneous rationalisation of the PNG defence force, key individuals acting as persistent agents of change – and importantly, a foreign donor government acting in support, albeit behind the scenes at all times.